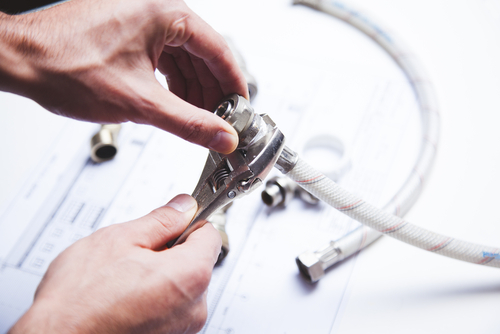 After reviewing the cost of plumbing services of a number of top service providers in Singapore it has been concluded that this cost ranges between SGD 50 and SGD 500 and the average cost can be SGD 50. But an exact cost of plumbing services cannot be quoted as it depends on various factors like the extent of damage, area you live in, types of appliances and the parts to be replaced. Normally people rarely upgrade their plumbing pipelines unless they stop transporting wastewater from their homes or bring in fresh water to do various day-to-day household works. Their plumbing pipes do all these works in a dramatic manner until something goes wrong with them. It becomes necessary to call a plumbing service immediately when something goes wrong with the plumbing as it can cause damages worth hundreds of dollars if not cared as soon as possible. The leakage of water in your plumbing pipes can be soaked by your ceilings, foundations and floors to cause mold and rots that can make you home unsuitable to live in. 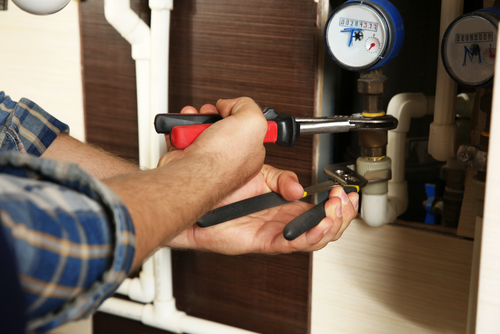 You can reduce the cost of plumbing services by calling the plumbing service as soon as you notice the problem. While calling the plumbing service after noticing the problem you will have to send a request to your pre-qualified and researched service provider and answer few questions asked by them. They will respond your request by sending you a rough estimate of cost of plumbing services so that you can compare it with the costs quoted by other service providers. You can book a service provider of your choice when you are satisfied with his quotations. Most of the plumbing service providers offer plumbing and cleaning services in residential and commercial buildings with the help of their team of experienced and well trained plumbing professionals. The service provider you select for this purpose must be in this field since many years as they may have team of best professionals who can provide you fast services at very reasonable price. Normally these plumbing service providers offer various types of services including repairing and replacement of toilets, faucets, bathtubs and sinks etc. Different plumbing service providers charge at different rates like some charge a flat rate whereas some charge on hourly basis. The number one plumbing problem experienced by homeowners is clogging of plumbing pipes of their sewer, bathtub or sink. Though, they may not be serious every time still you cannot ignore them as any delay can cause various health problems. The back-up of water in toilet or bathtub has to be tackled immediately. Disposal of garbage in the sink is the most common event that can clog its plumbing very frequently. By using these facilities carefully you can avoid most of these problems. Before calling a plumbing service you can use plunger or follow the troubleshooting instructions provided with them yourself to unclog the pipes. But if you cannot unclog it successfully or if any or all of these plumbing pipes have been clogged due to your negligence then you will have to call a professional plumbing service immediately. In fact serious plumbing problems cannot be rectified always just by replacing one or two pipes as sometimes you may have to cut floors or walls for this purpose. The cost of plumbing services increases with the increase of labour involved in your plumbing problem. The cost will be a bit higher if they have to torn out more part of your floor or wall. Main problem with clogged sewer system or septic tank is that it stinks and makes the entire environment unhygienic. Instead of facing damages caused by leaking sewer or septic tank you should immediately call your plumbing service. The cost of plumbing services in this case may depend upon the nature of job to be done but it will allow you to save your property and family from future damages. The back-up of sewer water can also contaminate the surface water and ground water through its bacteria. Sometimes it can be as easy to fix this problem as removing a clog but sometimes it can be more complicated as it may need replacement of a part of sewer pipe etc. but you can reduce the intensity of problem by calling the plumber as soon as possible. The type of appliances to be repaired or replaced like bathtub or sink etc. The number and quality of the fixtures to be replaced or repaired as every problem takes its own time to be rectified. The time of calling plumbing service as the cost will be higher if you call them on weekends, holidays or in emergency after working hours. 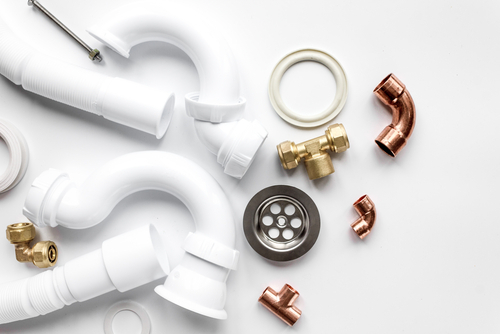 You can easily control the cost of plumbing services just by taking some DIY steps before the situation goes out of your control. You should be vigilant while a plumber changes a faucet or move a sink in your bathroom or kitchen so that you can know some basic things in this regard. It will help you to fix some of your plumbing problems even at the time of emergency as you can call a plumber anytime, if you cannot handle the problem yourself. How to hire a plumbing service? While calling a plumbing service you should go for the licensed and reputed companies as many of others may ask for upfront fee just to show their busyness. Moreover you should not go for cheap or low cost plumbers as they can sometimes increase your problem instead of fixing it. They may also charge additional fee for using their equipment. You can hire unlicensed plumbers to tackle normal plumbing problems like clogging etc. but for tricky problems you should always depend on licensed and experienced plumbers. You can also reduce the cost of plumbing services by consolidating the works to be done instead of calling them for every petty job.